About noon on this very rainy Sunday, I sat myself with a cuppa and sat and watch Range Rover special edition of a car be released to a Beijing audience. Land Rover has collaborated with fashion designer, Victoria Beckham to make a special edition of the Range Rover called EVOGUE. The car comes at the price tag of £80,000. Beckham had this to say whilst been interviewed by Range Rover bosses “‘it’s a great honour. I wanted to design a car that I want to drive and that David would want to drive. I want a car that reflects my personality. I’m really proud of this car.’ ‘We are both proud Range Rover drivers, and I have a lot of respect for the brand and its heritage.’ Its also been clear that her husband David has not seen the car. The four seat luxury of a car has the intertior which is all built around Beckham, for example the rose-gold highlights inside and outside of the car relflect on her 400 daytona rolex she often wears on her wrists. Along with her specific request of an interior which is soft and deep-pile luxury mohair floor mats to relfect her childhood memiors of taking off her shoes to run her own bare feet, around her father’s royle royce. 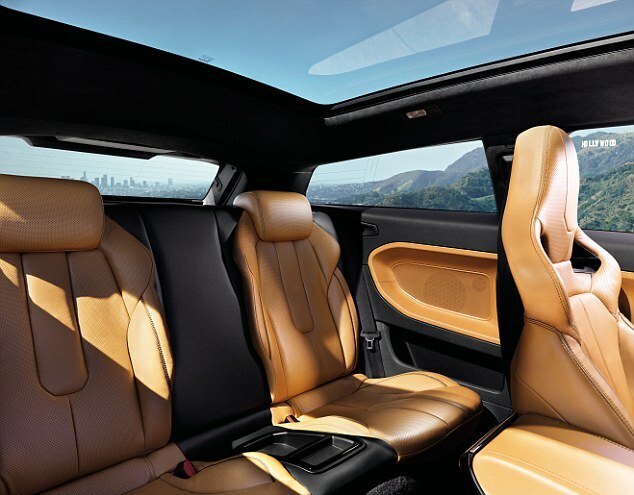 The dashboard features the exclusive rose gold-plated interior highlights, including on air-conditioning knobs. There is a bespoke four-piece Victoria Beckham leather luggage set, with her name on each of the zipper handles. New interior trim materials including gloss black lacquers and veneers, textured aluminium and soft-feel black paint. Beckham wore one of her favourite dressers from her mainline autumn and winter 2012 for the shoot with car and for the presentation she wore one of her dressers from her sisterline’s autumn and winter 2012 collection.